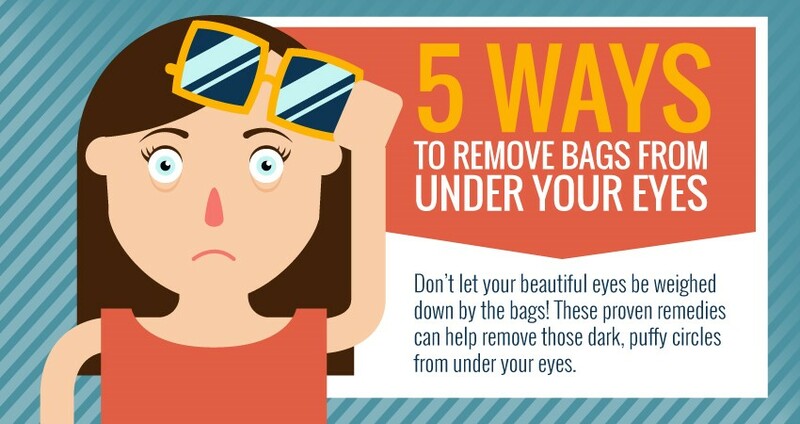 Here are 5 Ways To Remove Under Eye Bags Naturally. Donning that fresh-faced look is something we all strive for, whether we are 23 or 63. While makeup is great in giving us that glow, having a good base is essential, even if you are a pro at doing your makeup. Besides, a good base helps us to save time from having to hide certain flaws like those dark, puffy bags under our eyes. 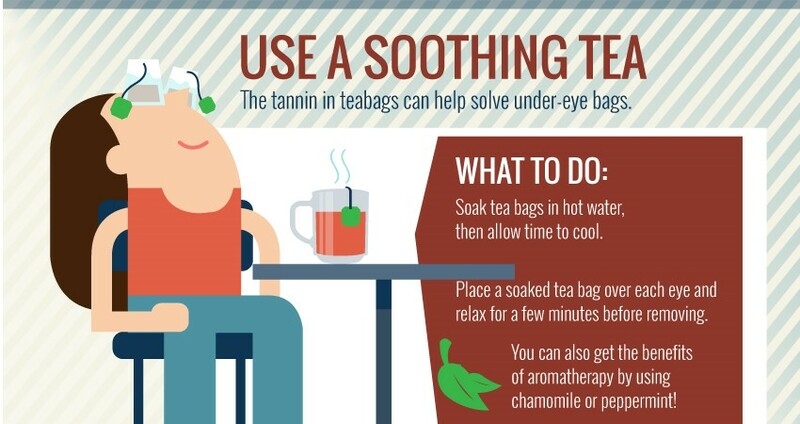 Tired eyes are not a good look but there are natural ways you can get rid of this problem. The following are five super easy things you can do to get that fresh-faced look without a drop of concealer. 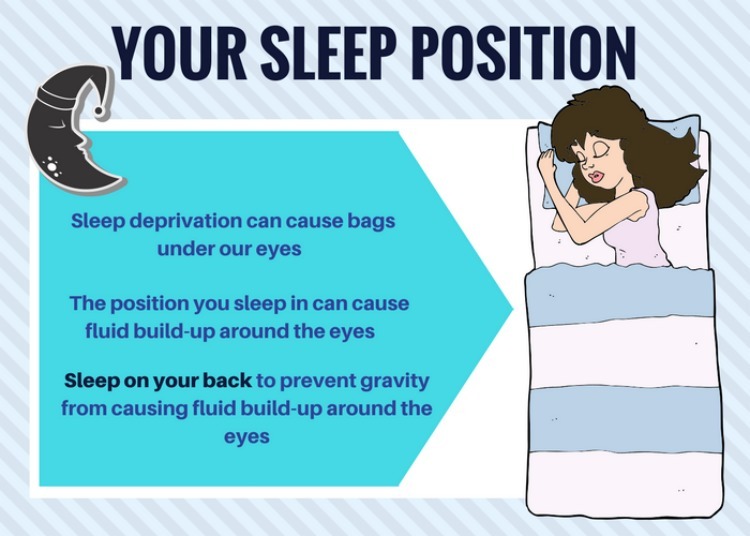 Although eye creams help in hydrating the skin under your eyes, there is nothing better for this area than drinking enough water during the day. 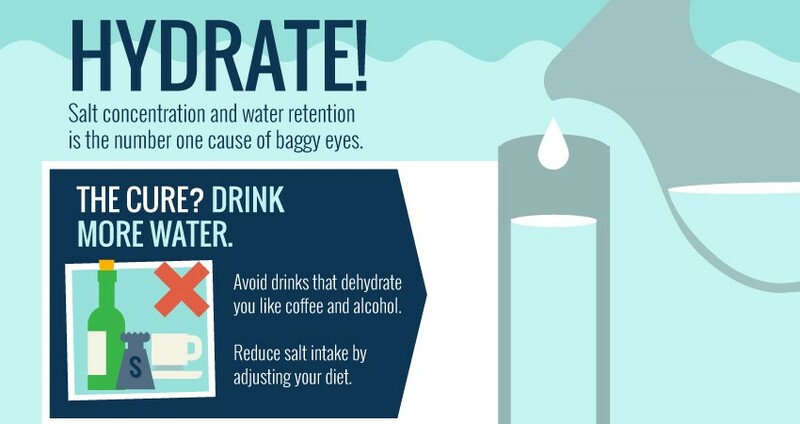 Water helps to keep the cells under your eyes hydrated, “as these cells need steady hydration” throughout the day. Try keeping a bottle of water on your desk and sip it gradually. You can even go for a large bottle so that you can be aware of how much you are drinking every day. Your under-eye problem could be more than simply tired eyes as you could be suffering from allergies. When your face is suffering from allergens, it can inflame and because the delicate skin around your eyes is very thin, then it is bound to retain water. 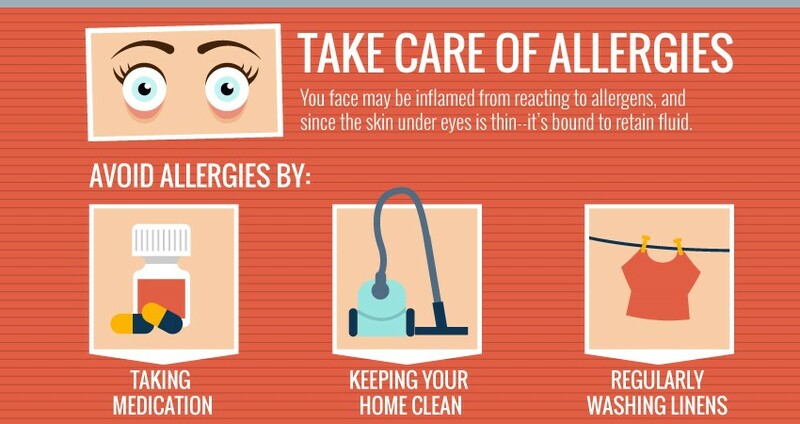 To relieve your face from these allergens, take care of yourself and your environment by taking the right medication, by keeping your house clean and free of the things which cause your allergy. Even on a dark, wintry day, experts recommend that you wear sunscreen. Your whole face needs daily attention with the right products for your skin, sunscreen application and using a hat when it is very sunny but the area under your eyes is even more delicate and it needs the right attention too. Your local beauty therapist will tell you that even your face moisturizer should not be applied for the area around the eye, instead, an eye cream for prevention or a strong anti-wrinkle cream — depending on the age of your skin — is what this area needs. 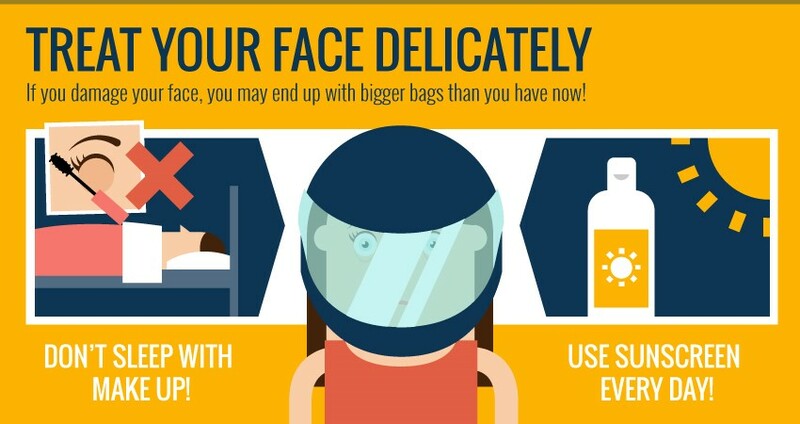 Adopting these habits as part of your daily routine is the easiest way to rid yourself of these eye bags, so that you can wear less makeup if you want to and look just as good and fresh without it and this infographic by Campus Eye is here to remind you of these habits. Gwen Lewis is a writer and makeup artist based in Southern California. Since online beauty articles helped her immensely as she was getting her start as a makeup artist, she now hopes to return the favor and connect with new and longtime hair and makeup devotees alike. In her free time, she enjoy shopping and pick-up soccer games with her friends. Thanks for your another helpful post. People are unaware of dark cirlces, how it occurs, what to do to tackle it. Your mentioned 5 ways are really effective. I am damn sure, your writing will help them a lot.